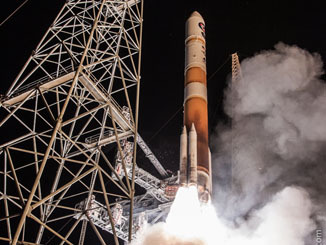 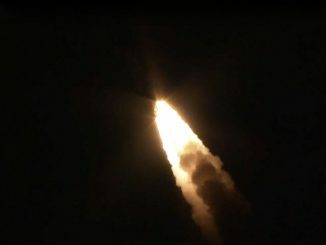 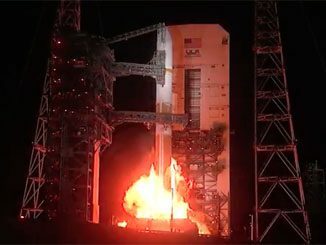 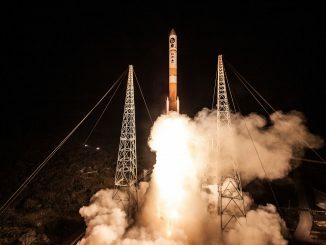 The United Launch Alliance Delta 4 rocket has taken off tonight from Cape Canaveral, headed for space to deploy a satellite bought by allied nations to bolster the U.S. military global communications infrastructure. 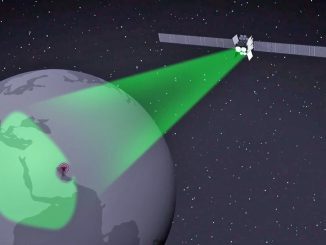 Signaling strength in the international cooperation between the U.S. military and allied nations, a satellite funded by five countries will be launched by the Air Force on Saturday to codify a global communications deal. 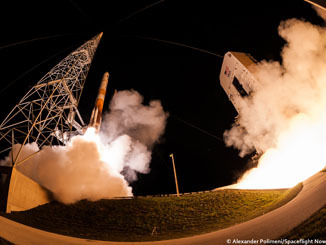 Follow the Delta 4 rocket’s ascent into orbit from Cape Canaveral’s Complex 37 launch pad to deploy the Wideband Global SATCOM 9 communications satellite. 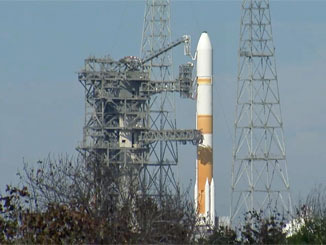 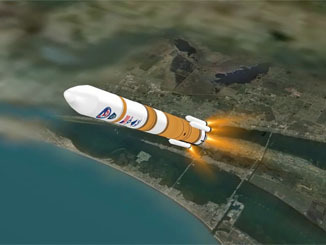 Liftoff is scheduled for Friday at 7:44 p.m. EDT (2344 GMT). 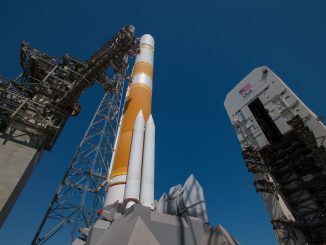 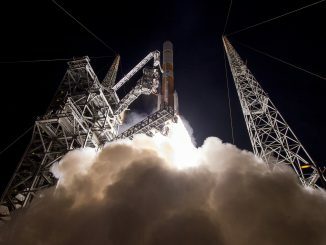 With the SpaceX scrub earlier this week and the time needed to convert the Eastern Range over to the Delta 4, liftoff of that rocket carrying an internationally-purchased military communications satellite for the Air Force has been bumped to Saturday evening.